The great fauna and flora in Botswana makes the country a haven of great beauty. This fauna and flora plays a leading role in the tourism sector of Botswana as the larger part of 2 million tourists who visit Botswana enjoy the country's habitat and wildlife. Although a significant part of Botswana is covered by savanna, the country has adequate vegetation to support tens of thousands of wild animals. 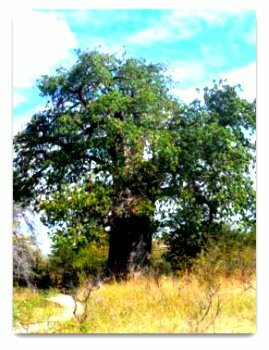 Common trees are the mopane, camel-thorn, motopi (shepherd's tree) and baobab. Botswana is a 'natural game reserve' for most wildlife found in southern Africa. The country boasts 164 species of mammals, 550 species of birds, 157 species of reptiles, 38 species of amphibian and over 70 species of fish mostly within the Okavango Delta. This includes lion, leopard, cheetah, elephant, giraffe, zebra, hippopotamus, rhinoceros, African buffalo, hyena and antelope. All this fauna and flora in Botswana is a great delight for nature-enthusiasts and excursionists, as well as a great habitat for the well protected wildlife. Globally, there is a set of five species of animals commonly known and accepted as the BIG FIVE GAME. These are the lion, African elephant, buffalo, leopard and rhinoceros - all of which are found in Botswana. Do you know why they are called the big five? They are referred to as the big five game because they are difficult to hunt. The name was coined by big-game hunters who felt that the set was difficult to hunt on foot. Of the five, the Botswana lion is endangered and faced with being wiped out by trophy hunters. The lion is considered to be one of Botswana's major attractions, but has equally been a major target of game hunters and is now endangered. Hence, Botswana has made the hunting of lion illegal. In addition, through the Northern Tuli Predator Project to track Botswana lions (and other species such as leopards and wild dogs), there are efforts to preserve the endangered animals. Botswana is a good place for viewing game and photography. The abundant wildlife in Botswana follows seasonal rains most of the year, which is between November and April. 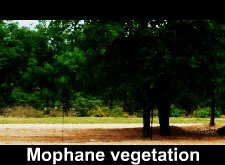 During the dry season these congregate around areas of permanent waters. 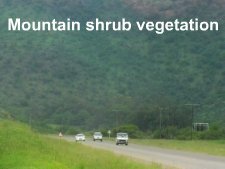 The vegetation in Botswana is called bushveld which is a sub-tropical woodland that covers much of southern Africa. 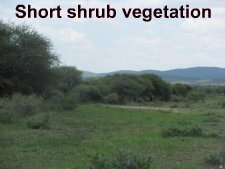 The Botswana bushveld is dominated by grassed plains but dotted with dense clusters of trees in the eastern Botswana, the Okavango and Chobe; and tall shrubs in much of central Botswana. I promise to use it only to send you Knowbotswana News.